How Much Does Netflix Cost and What Are the Subscription Options? The story goes that the idea behind Netflix partially started with a Blockbuster late fee. Company founder Reed Hastings, angered by a $40 late fee from the long-gone video rental provider back in the mid-1990s (the movie in question was Apollo 13), started thinking about a new video sharing model that would eventually manifest itself as Netflix today. Adding salt to the wound, Blockbuster had an opportunity to purchase Netflix for $50 million, and passed on the deal. Netflix, widely known for its menu of original shows, television classics, and abundant choice of movies, has taken a while to fully lift off – it received just $2 million in venture funding in its first year – but it’s certainly flying high right now. Its business model, with charges a monthly fee for various streaming services, is a mix of old and new dynamics, so it’s a good idea to hit the pause button and find out what, exactly, Netflix is charging its customers for video streaming options across multiple delivery platforms. More importantly, it’s a good idea to see what Netflix customers are getting for their hard-earned money. How Much Does Netflix Streaming Cost? Basic, $7.99 per month. Netflix’s basic plan doesn’t provide high definition viewing and its programs can only be watched on one screen at a time. Standard, $10.99 per month (up from $9.99 in 2017). The Netflix standard offers HD videos and allows for two simultaneous viewings. Premium, $13.99 per month (up from $11.99 in 2017). The top tier offering includes the ability to watch four screens at the same time. It’s also the only item on the Netflix that offers a 4K viewing option. While still in “test” model, Netflix is offering a new high-end streaming service option in select cities. The program, called “Ultra”, reportedly offers four Ultra HD viewing streams and/or content viewable in HDR format. Version No. 1 provides four Ultra HD streams, with the current $13.99 per-month viewing option sliding from four UHD streams to two UHD streams. Version No. 2 provides access to four Ultra HD streams, but with a twist: only Netflix Ultra customers can gain access to the company’s high dynamic range content services, which is a superior viewing experience, according to the company. While the two model options are being tests in a handful of viewing areas, there is no guarantee the company will or will not go forward with the pricing plans anytime soon. When you join Netflix the process of getting up, running and streaming videos is easy. Sign up for Netflix on the company website, or on the company mobile app. Once that’s done, you’ll be given a “no charge”, one-month free trial, where you can play around with the site and try different service models. If, at any point during the trial period, you opt to end your Netflix experience, you can cancel immediately. Once you sign into Netflix go to the upper right hand of the home page and hit the “Your Account & Help” button. Go to “Cancel Membership” and follow the procedure to cancel your account. Even if you cancel your account at any time during the grace period, you can still watch Netflix programming through the end of the 30-day trial period. You can watch four screens at the same time. You get the first month free, as part of the trial period offer. Netflix also offers various DVD and Blu Ray video streaming program, as well. Netflix also offers a set of Blu Ray DVD streaming options, as well. The primary Netflix streaming “feature” services are a huge part of the Netflix experience. The Netflix simultaneous viewing option enables families and friends to share their Netflix account, at the three different pricing models listed above. For example, the basic streaming option allows users to only stream one screen at a time. But when you upgrade to the standard plan, your account is allowed users to watch Netflix programming on two different devices simultaneously. Move on up to the premium streaming plan, and you can watch Netflix programming on four different devices at the same time. As the old saying goes, once you experience HD video, you can’t go back to basic content viewing – and that goes double for Ultra HD viewing. For an extra $3 or $6 a month – about the cost of two fast-food burgers or a single Starbucks latte – you can upgrade to the Netflix HD and Ultra HD streaming options. The difference in viewing quality between basic viewing and HD and Ultra HD viewing is significant, on the order of driving a four-cylinder sedan versus driving a turbo-charged Maserati. Ultra HD is particularly mind-expanding for video aficionados who may own a 4K television or computer with a 4kK monitor. This viewing technology enables viewers to watch shows at a resolution that is four times the quality of HD (at 1080p). Only select Netflix programming is available on Ultra HD, so check ahead of time to see if your favorite show makes the ultra-high-resolution grade. It’s tough to say what Netflix pricing models will look like even a year from now. The company is known to tinker with its video streaming options and, as the Ultra experiment attests, there could be new pricing platforms coming down the pike anytime. After all, the company has boosted customer prices twice in the last two years. While that hasn’t hurt Netflix – it added 7.4 million customers in the first quarter of 2018 – the video streaming giant continues to invest in new content, including films, documentaries, and Netflix originals. In a business model where founder Hastings has acknowledged that increased quality and content leads to higher consumer prices, expect Netflix prices to rise sooner rather than later – so enjoy the Netflix experience at the relatively lower prices you’re seeing right now. https://unlimiteddataplans.club/wp-content/uploads/2018/11/23474b35-f3f2-11e8-ace2-27e1412a6f83.png 800 1200 Steve Steve2018-11-30 18:24:172018-11-30 18:24:17How Much Does Netflix Cost and What Are the Subscription Options? Vodafone India has silently hiked its i-Roam FREE international roaming plan rates for postpaid subscribers. With the latest change, the telco is now offering its international roaming plans at Rs. 599, Rs. 2,999, Rs. 3,999, and Rs. 5,999. 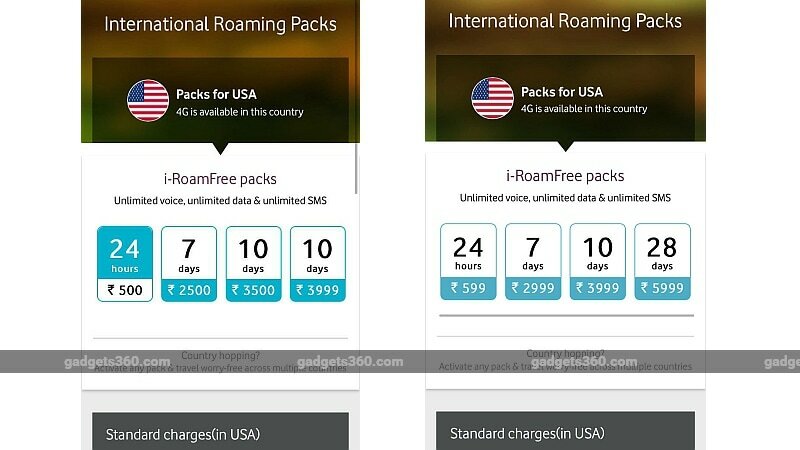 These are being revised from the previous i-Roam FREE international roaming plans of Rs. 500, Rs. 2,500, Rs. 3,500, and Rs. 5,500. The new revision comes days after Vodafone announced discounts on its international roaming plans for a Visa Travel Prepaid card customers. It brought a discount worth Rs. 500 on the 10-day Vodafone iRoam FREE plan and Rs. 750 discount on the 30-day plan using a Visa Travel Prepaid card. As we mentioned, Vodafone has increased its i-Roam FREE international roaming plans for postpaid users to Rs. 599, Rs. 2,999, Rs. 3,999, and Rs. 5,999. It is reported that the operator increased its Rs. 2,500, Rs. 3,500, and Rs. 5,500 on November 15 to Rs. 2,999, Rs. 3,999, and Rs. 5,999, while the Rs. 500 plan revised to Rs. 599 on November 22. These changes are visible on the MyVodafone app. The Rs. 599 i-Roam FREE international plan is valid for one day and includes 50 minutes of outgoing calling to the travelling country and India, while Rs. 2,999 plan comes with a validity of seven days and has 200 minutes for outgoing calls. It also offers free incoming calls, 25 text messages, and 2GB of data. Vodafone postpaid subscribers can also opt for the Rs. 3,999 plan for 10 days to get 300 minutes of outgoing calls to local country and India, whereas the Rs. 5,999 plan offers 28 days of validity and gives 500 minutes of outgoing calls, free incoming calls, 100 SMS messages, and 5GB of data. Subscribers visiting select countries such as the US, UAE, and Singapore can also avail unlimited benefits, including unlimited data and voice calls. Vodafone is also claiming to offer “home-like rates” in 44 countries. The revised rates were first reported by TelecomTalk. Unlike the revised offerings by Vodafone, Reliance Jio is offering international roaming along with unlimited incoming and outgoing voice calls, data, and SMS messages for one day at Rs. 575, seven days at Rs. 2,875, and 30 days at Rs. 5,751. These plans are applicable to 20 countries. However, there is also a global pack from Jio that offers benefits worth Rs. 1,211 at Rs. 1,101 for 28 days. Back in June, Vodafone brought discounted international roaming plans specifically for the Visa Travel Prepaid card customers. It brought a Rs. 500 discount on the 10-day plan, while the 30-day plan comes with a discount of Rs. 750. More notable recent Telephone and Data Systems, Inc. (NYSE:TDS) news were published by: Seekingalpha.com which released: “Telephone and Data Systems declares $0.16 dividend – Seeking Alpha” on November 16, 2018, also Seekingalpha.com with their article: “Telephone and Data Systems, Inc. (TDS) CEO Ken Meyers on Q3 2018Results – Earnings Call Transcript – Seeking Alpha” published on November 02, 2018, Nasdaq.com published: “New Research Coverage Highlights Globant SA, Telephone and Data, Tanger Factory Outlet Centers, Colfax, MagnaChip Semiconductor, and IDACORP â€” Consolidated Revenues, Company Growth, and Expectations for 2018 – Nasdaq” on November 08, 2018. More interesting news about Telephone and Data Systems, Inc. (NYSE:TDS) were released by: Stockhouse.com and their article: “TDS reports strong third quarter 2018 results – Stockhouse” published on November 02, 2018 as well as Benzinga.com‘s news article titled: “Earnings Scheduled For November 2, 2018 – Benzinga” with publication date: November 02, 2018. Kurt Thaus, the Senior VP – CIO of Telephone & Data Systems Inc, unloaded 129,656 shares of the company, with their total value being placed at $4,582,831 U.S. Dollars, based on an average price of $35.3 of a share. Investors sentiment increased to 1.11 in 2018 Q2. Its up 0.06, from 1.05 in 2018Q1. It improved, as 16 investors sold Telephone and Data Systems, Inc. shares while 80 reduced holdings. 36 funds opened positions while 71 raised stakes. 88.33 million shares or 0.81% less from 89.05 million shares in 2018Q1 were reported. Bluecrest Capital Mngmt Limited stated it has 0.01% of its portfolio in Telephone and Data Systems, Inc. (NYSE:TDS). Peak6 Invests Lp holds 2,990 shares or 0% of its portfolio. Vanguard Grp holds 0.01% or 9.97 million shares in its portfolio. Ls Advisors Ltd Com stated it has 5,264 shares. Trust Of Vermont accumulated 28,381 shares or 0.07% of the stock. Ajo Limited Partnership owns 3.15 million shares for 0.4% of their portfolio. Kbc Group Nv invested in 0.02% or 72,722 shares. Hbk Invests Limited Partnership reported 61,691 shares stake. Balasa Dinverno And Foltz Limited Liability reported 7,682 shares. Cubist Systematic Strategies Lc accumulated 32,090 shares. Millennium Mgmt Lc invested in 1.24M shares. Laurion Ltd Partnership holds 63,019 shares or 0.01% of its portfolio. Tudor Et Al owns 17,164 shares. Los Angeles Equity Rech accumulated 0.01% or 71,093 shares. Captrust Advsr invested in 0.03% or 19,300 shares. Since June 7, 2018, it had 0 insider buys, and 14 selling transactions for $11.35 million activity. $160,784 worth of stock was sold by Carlson Prudence E on Wednesday, June 20. $10,407 worth of stock was sold by Davis Clarence A on Thursday, November 15. Shares for $564,822 were sold by Chambers Douglas W. On Thursday, August 16 Butman James W sold $1.13M worth of Telephone and Data Systems, Inc. (NYSE:TDS) or 37,280 shares. 129,656 shares valued at $4.58M were sold by THAUS KURT B on Monday, November 26. 4,000 shares were sold by SARANOW MITCHELL H, worth $106,640. $1.67 million worth of Telephone and Data Systems, Inc. (NYSE:TDS) was sold by Hanley Joseph R.
Among 3 analysts covering Telephone and Data (NYSE:TDS), 2 have Buy rating, 1 Sell and 0 Hold. Therefore 67% are positive. 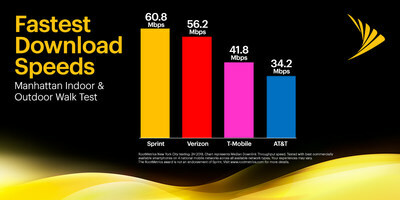 Telephone and Data has $39 highest and $36 lowest target. $36.33’s average target is 1.09% above currents $35.94 stock price. Telephone and Data had 3 analyst reports since July 11, 2018 according to SRatingsIntel. The stock has “Buy” rating by Citigroup on Wednesday, August 8. The rating was downgraded by JP Morgan to “Underweight” on Wednesday, July 11. The firm earned “Outperform” rating on Tuesday, November 6 by Raymond James. Telephone and Data Systems, Inc., a telecommunications company, provides wireless, wireline, cable, and hosted and managed services in the United States. The company has market cap of $4.06 billion. The firm offers cellular services, such as postpaid national plans and prepaid service plans with voice, messaging, and data usage options; shared data plans that include unlimited voice and unlimited messaging; and business rate plans. It has a 10.08 P/E ratio. It also offers wireless devices comprising handsets, tablets, mobile hotspots, home phones, and routers; and including accessories, including wireless basics, such as cases, screen protectors, chargers, and memory cards, as well as an assortment of consumer electronics comprising headphones, speakers, and hands-free devices. More notable recent RBC Bearings Incorporated (NASDAQ:ROLL) news were published by: Nasdaq.com which released: “Steel Dynamics To Build New Organic Flat Roll Steel Mill – Nasdaq” on November 26, 2018, also Nasdaq.com with their article: “Indonesia’s Go-Jek starts trial launch in Singapore, challenges Grab – Nasdaq” published on November 29, 2018, Nasdaq.com published: “German regulator sets ball rolling for 5G auctions – Nasdaq” on November 26, 2018. More interesting news about RBC Bearings Incorporated (NASDAQ:ROLL) were released by: Nasdaq.com and their article: “Biocartis partners with AstraZeneca on lung cancer diagnostics – Nasdaq” published on November 29, 2018 as well as Nasdaq.com‘s news article titled: “Telco mergers still a long-distance call in Europe – Nasdaq” with publication date: November 27, 2018. Since June 1, 2018, it had 0 insider purchases, and 12 sales for $27.01 million activity. $163,147 worth of RBC Bearings Incorporated (NASDAQ:ROLL) was sold by LEVINE ALAN B on Tuesday, August 14. CROWELL RICHARD R also sold $272,392 worth of RBC Bearings Incorporated (NASDAQ:ROLL) on Monday, June 18. 2,500 shares were sold by Faghri Amir, worth $332,355. $2.04 million worth of RBC Bearings Incorporated (NASDAQ:ROLL) was sold by HARTNETT MICHAEL J on Friday, June 29. 6,500 RBC Bearings Incorporated (NASDAQ:ROLL) shares with value of $911,254 were sold by QUAIN MITCHELL I. 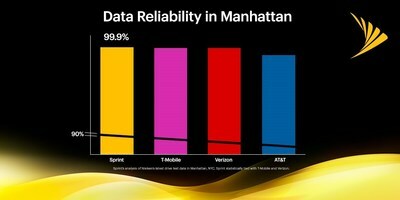 NEW YORK, Nov. 29, 2018 /PRNewswire/ — Sprint’s (NYSE: S) Next-Gen Network investment is taking hold across New York and wireless customers in Manhattan are experiencing Sprint’s best-ever LTE Advanced network with new independent testing showing Sprint tops the charts in speed and data reliability. Earlier this week, Google announced that its cellular service provider division “Project Fi” has graduated from beta “project” to full-fledged product Google Fi. The name change is fine, but what’s really interesting and exciting about the whole thing is that, as part of the shift, Google Fi now officially supports the iPhone. You still need to change some settings to get it to work. Technically, Google Fi support for the iPhone is currently in beta. iPhone users have limited features and, in some cases —you guessed it— you may need to change some settings to achieve full functionality. Still, Google Fi’s unique pricing scheme is very interesting, and you might not want to dismiss the idea of switching just because of the hiccups. So let’s talk about what it would mean to switch to Google Fi as an iPhone user, from the boxes you need to check to the money you may or may not save. First things first. You need to have a new(ish) iPhone to use Google Fi, as the service is only compatible with models no older than the iPhone 5S or SE, and run iOS 11 or later. Your phone also can’t be carrier locked: If you bought your phone through your current carrier—as opposed to buying it directly from Apple—you may need to ask them to unlock it. Assuming your iPhone is compatible, iPhone owners using Fi have access to a restricted “beta” version of the service that does not include some of its best selling points. Fi, as an MVNO provider that uses the infrastructure of other service providers, lets some users bounce between multiple carrier networks, including Sprint, T-Mobile, and U.S. Cellular, to get the best service. iPhones on Fi, however, get cell service and data through the T-Mobile network. iPhone users will also not have access to the Fi VPN, which provides additional security. To be fair, these features currently work with only specific phones that are “designed for Fi,” but they are also some of the strongest benefits over a major carrier. There are also some technical issues that hinder some of the phone’s core features. While using Fi, iPhones cannot make calls over wifi or use the phone’s “visual voicemail” app. Instead, you can call your mailbox to listen to your voicemails and can have transcripts sent to you via text message. While iMessage works fine, iPhone users will need to take extra steps to turn on SMS and MMS text messaging. Lastly, the phone cannot be used as a data hotspot outside of the U.S. None of these features are necessarily huge losses—this is just as good an excuse as any to tell people not to leave you a message—but it’s a longish list of inconveniences that you can avoid elsewhere. Despite everything, though, there’s still a good reason why you might want to consider Google Fi even if you have an iPhone—the pricing structure. Google Fi charges $20 per month for phone service and texting, plus $10 per GB of data up to a max fee of $60. Put it another way: It’s $80 for calls, text, and unlimited data, but you can get a discount if you’re a low data user. There’s an extra boon if you like to travel: the phone works in 179 countries, and there are no roaming fees. The service becomes even more cost efficient if you’re part of a family plan. Each additional user or device costs an extra $15/month, and raises the max data price, though by a smaller amount with every user. It’s $155 for 10 GB or more between two users, $170 for 12GB of data or more among three, $205 for 14GB or more among four, etc. Keep in mind that you can always spend less if you’re frugal about how you use data. On the other hand, while Google does have promotions helping subsidize the cost of new phones, these prices are just for the service, no phone included. Put it all together and it seems like Google Fi is an interesting new option, but it may only appeal for a specific kind of iPhone user. If you’re a globetrotting data hog and/or on a family plan, and don’t mind jumping through a few hoops, it may be worth pursuing. For everyone else… Well, I guess you’ll have to crunch the numbers, look at the issues, and figure out what you think. Or check out the Google Fi app for more information. https://unlimiteddataplans.club/wp-content/uploads/2018/11/jcf0ilspd0a5w0duiaw6.png 900 1600 Steve Steve2018-11-30 06:28:282018-11-30 06:28:28Should You Switch to Google Fi on the iPhone?